The blonde crawled onto the table, yanking the complicated length of her intestines along and knocking over the place settings as she crept to him on her hands and knees. 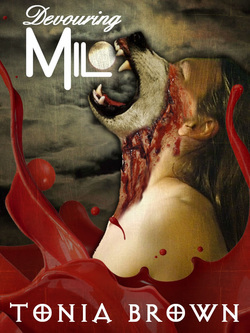 Milo tried to get up, tried to back off from the table, but he couldn’t move, couldn’t lower his fork, couldn’t turn away from the beautifully grotesque image of her hauling her eviscerated carcass toward him. When she reached him, she gave a soft, sultry purr and mouthed the end of his fork, taking her own liver between her lips and swallowing the piece whole. This pronouncement made, she drew closer and pressed her broken mouth against his. Milo screamed into the endless cavern of her corpse until everything went black.